Prairie Dog is pleased to announce the formation of a new video production department. The department will offer a wide variety of video services, from smaller projects all the way to a full-blown commercial production. It will allow the agency to continue to address the evolving needs of its clients, including producing more cost-effective content for websites, as well as the ability to shoot and edit projects internally. Matt Blume joined the agency as video production director, overseeing the video production department. Blume has worked in the video production industry for 15 years, touching brands such as AMC Theatres, Modelo, Applebee’s, Cerner, Gatorade, LinkedIn, AT&T and many more. 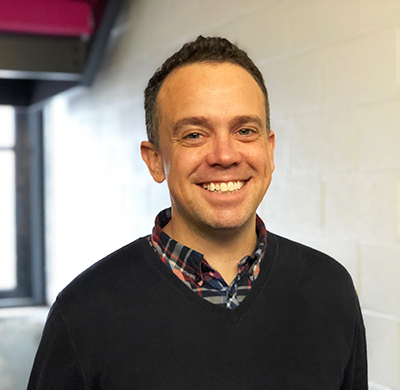 Josh McCoy, director of integrated channel delivery, joined the agency to oversee Prairie Dog’s digital operations, which includes development, analytics, search engine optimization, paid search and social and more. Josh joins Prairie Dog from Vizion Interactive, where he served as lead strategist. He also chairs the Kansas City Search Engine Marketing Association, and he served in the U.S. Army for six years, including a tour of duty in Iraq and Kuwait. Anna Evans joined Prairie Dog’s creative team as a senior art director. Coming from VML, Anna brings a diverse background and plenty of major brand experience, including Ford, Bridgestone, QuikTrip, Gatorade and Sprint.